The Department of State has historically distributed the allocation of diversity immigrant visas among six geographic regions in the world. 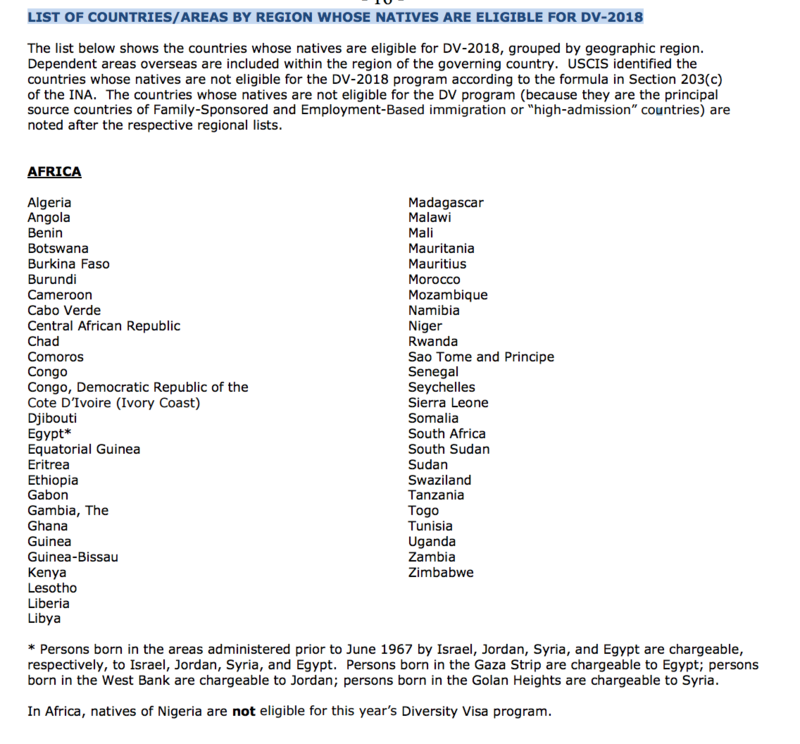 No single country is authorized to receive more than 7% of the total available DV visas per fiscal year. 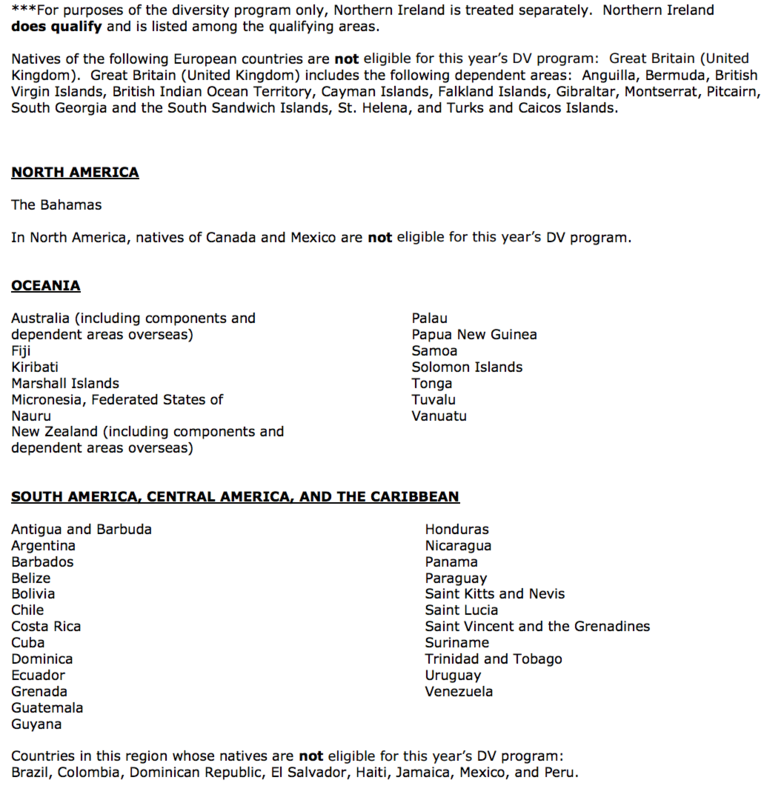 For DV-2018 foreign nationals of the following countries are not eligible for the DV program because these countries have higher rates of immigration to the United States within the last 5 years: Bangladesh, Brazil, Canada, China (mainland-born), Colombia, Dominican Republic, El Salvador, Haiti, India, Jamaica, Mexico, Nigeria, Pakistan, Peru, Philippines, South Korea, United Kingdom (except Northern Ireland) and its dependent territories, and Vietnam. 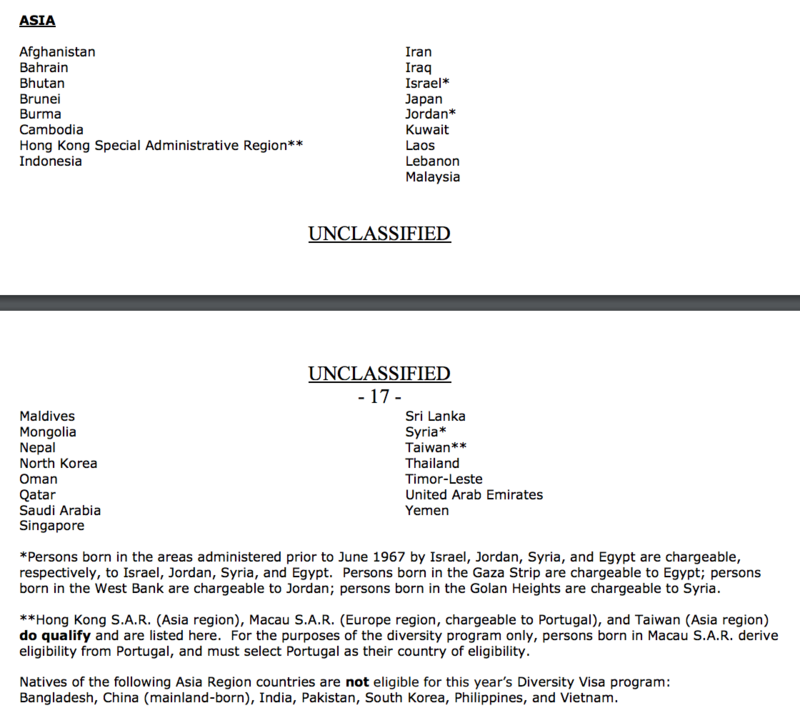 Persons born in Hong Kong SAR, Macau SAR, and Taiwan are eligible. Unlike previous years, Ecuador is eligible for DV-2018. 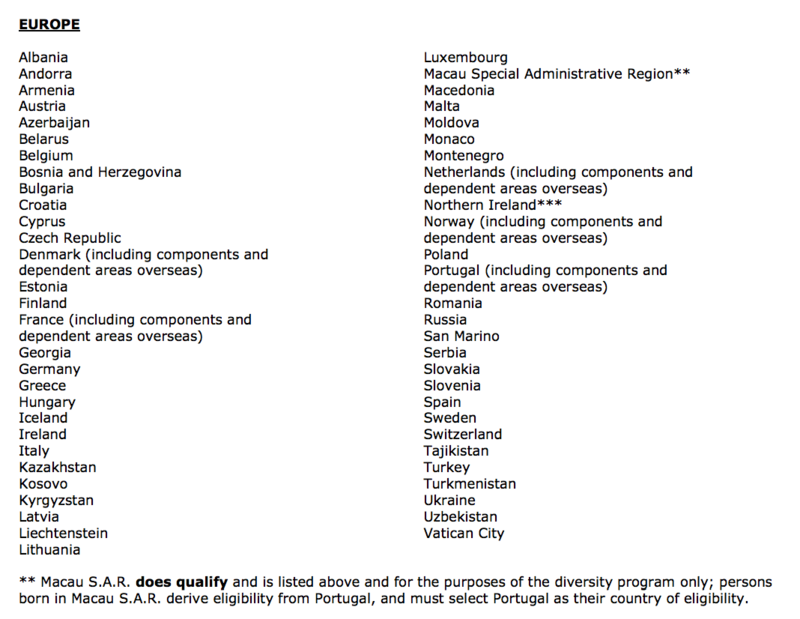 You must be a native of a country participating in the diversity immigrant visa program; see list below. If you were not born in a participating country, you may be charged to your spouse’s country of birth if both you and your spouse are on the selected entry, are issued diversity visas, and enter the US at the same time. If you were born in a country where neither of your parents were born or reside, you may be charged to the participating country of birth of one of your parents. Click on the link for your specific occupation; and 4. Select the tab “Job Zone” to find the designated Job Zone number and Specific Vocational Preparation (SVP) rating range. IMPORTANT: Once selected, applicants may only apply for diversity visa issuance during the fiscal year in which they were selected. Applicants are strongly encouraged to apply for their diversity visas as soon as possible, before available visas have been allocated. 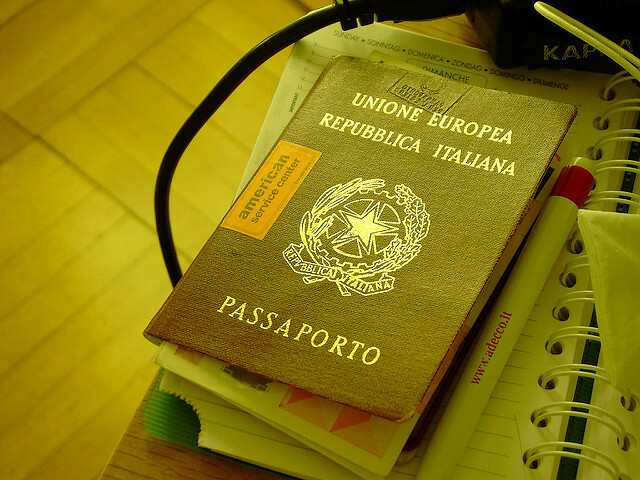 Visas must be obtained by the end of the fiscal year during which the applicant was selected. If you do not obtain your visa or adjust status by the end of the fiscal year, your entry will not carry over to the following year and you will forfeit your selection. For more information about the Diversity Immigration Visa Program please visit our website. For the 2018 Diversity Immigrant Visa Program Instructions please click here.